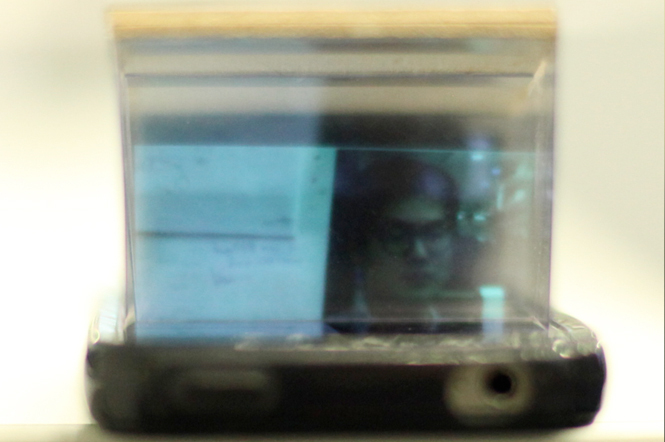 By demonstrating the usage of the Pepper’s Ghost Technique for fabricating multi-Layer 3D displays, I propose an uncomplicated and relatively low-cost building procedure that can possibly be used for homemade 3D teleconference with illusionary holographic effects. The project concludes with an illustration of the benefits and limitations of the project and suggests a future direction for the project. 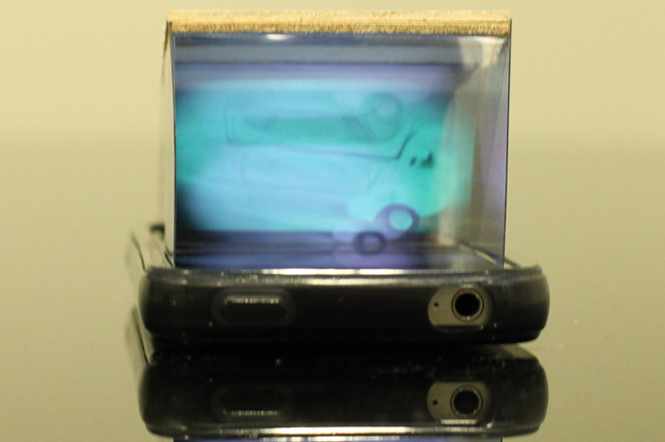 "DIY Layered 3D Reflection" is a system for constructing and displaying captured 3D video depths using reflections on layered transparencies. 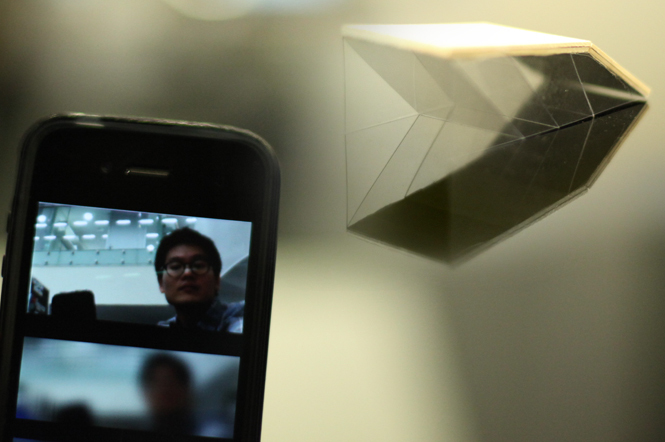 By demonstrating the usage of the Pepper’s Ghost Technique for fabricating multi-layer 3D displays, we propose an uncomplicated and relatively low-cost building procedure that can possibly be used for homemade 3D teleconference with illusionary holographic effects. This paper focuses on utilizing online open-source materials to enable individuals to produce a DIY version of an existing device to create 3D content, capture real-time 3D depth data, and render the 3D information in half-holographic form. 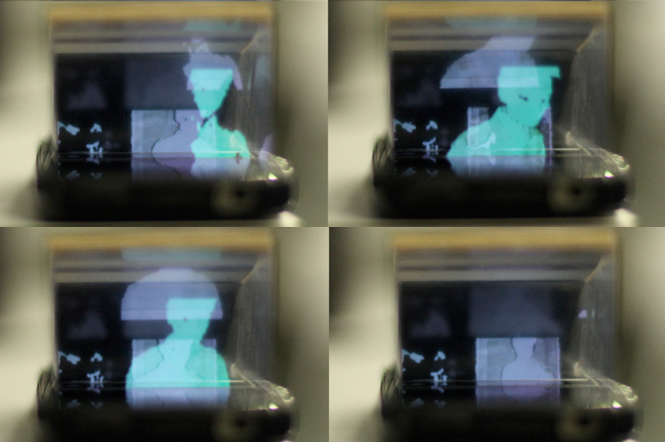 I propose to explore the Layered 3D project by using a real-time 3D scanning system and fabricating a display that will work with the Pepper’s Ghost Technique. The goal is to create a platform for real-time 3D scanning and rendering that is available to people with a DIY mindset by applying everyday technology and open source toolkits. For the purpose of quick exploration, our current hardware design builds upon the design of i3DG, developed by media artist Jitsuro Mase. His design borrows the Pepper's Ghost technique to render 3D effects. i3DG is an accessory for smart phones or tablets with large surface displays that brings instant 3D viewing to the device. However, the accessory will not work without a pre-produced visual content that requires the usage of expensive design software. To provide instant generation of the 3D content, I use coding that eliminates manual labor, relying on design software. The result of the second application of the depth camera was most interesting as it creates the effect of a real time 3D object rendered in a half holographic form to shift from each layers from front to back and vice versa based on the real space location. In the future, we want to combine all three applications. First, we will capture the surrounding light field and achieve a real-time depth-of-field rendering effect and add spatial depth to the prototype display. Also, we plan to add more layers of reflective surfaces to obtain higher three dimensional resolution and apply the technique on various types of screens using different hardware design. 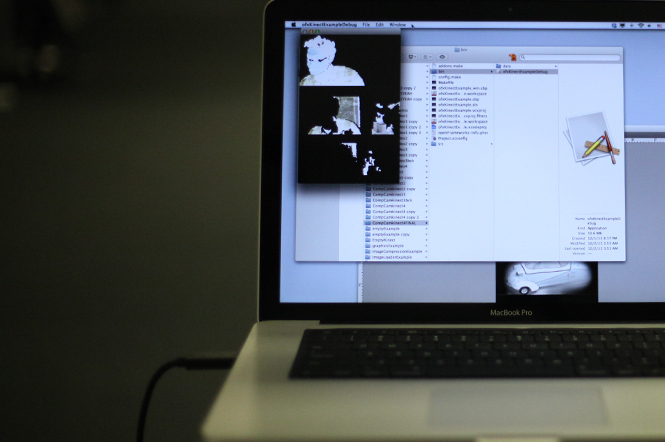 I thank Professor Ramesh Raskar, Douglas Lanman from MIT Media Lab’s Camera Culture group for instructing the Computational Camera and Photography class and providing guidelines for the proposal, Tangible Media Group’s Research Assistances, Jinha Lee, Lining Yao and Daniel Leithinger who supported the prototype project with resources.